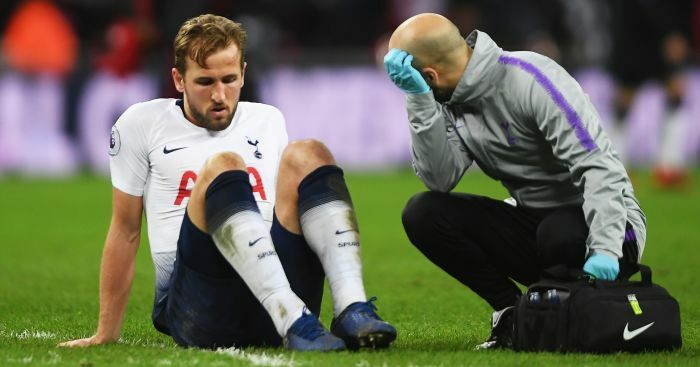 Tottenham manager Mauricio Pochettino says Harry Kane’s injury absence does not put pressure on his side to sign a striker in the January transfer window. Kane has been ruled out until early March after suffering ankle ligament damage in Sunday’s loss to Manchester United. They have been linked with a whole host of names, including free agent Giuseppe Rossi, but Pochettino says his transfer plans this month are not affected by Kane’s injury ahead of Sunday’s Premier League visit to Fulham. “I think it’s not going to change our mind about the view of the squad,” he said. “Always we’re open to improving our squad, to adding players that can improve us. “But I think that’s not going to put pressure on us to sign some players. We know very well the market now is so difficult, and the circumstance that we have. “Of course, like always I tell you, if we identify the player that is going to help us and can add qualities that we don’t have in the squad, we’re more than open to trying [to make] that happen. “I think there’s many names that appear in every transfer window. He’s another name to add on the list but it’s only a rumour,” he revealed. “I think he’s very positive,” Pochettino added. “Of course we are going to see, the time to recover and have the full recovery. “But always it’s an easy thing with Harry because he’s a very positive person that in the moment he got injured started to think about his recovery as soon as possible. “But of course it’s going to be an important player out for a time. “He’s one of the best strikers or players in Europe or the world and always it’s going to affect the performance, but we think and we are in the same way, positive, that we can cope with the situation. The post Pochettino rules out solving crisis by signing striker training with Man Utd appeared first on teamtalk.com.